The Latest Hip African Coffee? As single-origin beans from nations like Ethiopia and Kenya gain in popularity, Nespresso is poised to add Zimbabwe to the list of trendy African coffees. The unit of Nestle SA plans to start selling limited-edition Zimbabwe capsules in May in 15 countries including the U.S. and the U.K., according to Chief Executive Officer Jean-Marc Duvoisin. 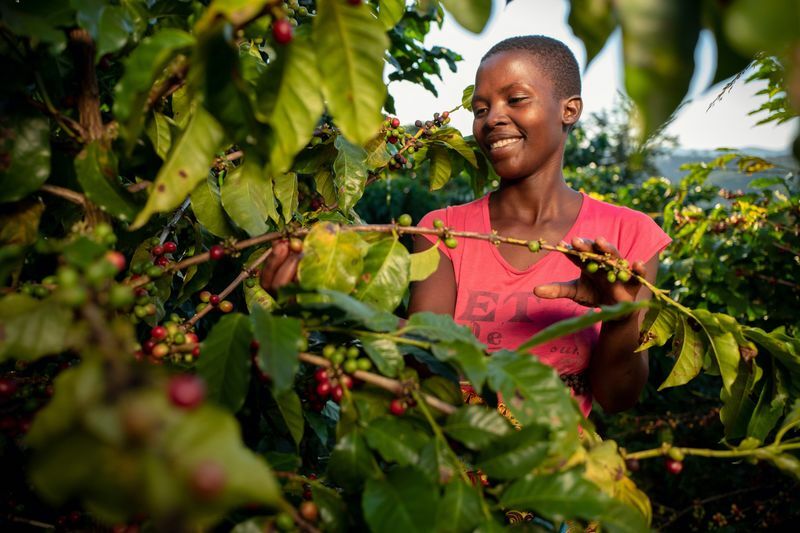 Nespresso has been working with non-profit partner TechnoServe since 2017 to revive the southern African nation’s struggling coffee sector and will spend $1.25 million over five years. Zimbabwe was once a significant exporter of products ranging from roses to tobacco, but its agricultural industry collapsed following the seizure of mostly white-owned commercial farms starting in 2000. While output has recovered in some crops, coffee production remains tiny by global standards and the sector was in danger of disappearing altogether. About 400 Zimbabwean farmers have already joined Nespresso’s sustainability program, which includes technical support and farmer training. The company first bought batches of beans for testing in 2017 and this year purchased about 95 percent of the high-quality coffee gathered by smallholder farmers for the harvest that just ended. Growers, who produce the milder-tasting, more-expensive arabica coffee variety, probably reaped about 400 to 500 metric tons this season, said Paul Stewart, global coffee director at TechnoServe. That’s down from a peak of 15,000 tons in 1987-88. Output will probably climb to 600 tons in the next few years, Stewart said. Nespresso has made a list of countries where coffee production has been in decline and has visited almost all of them to assess the potential to purchase high-quality coffee. The company was particularly drawn to Zimbabwean coffee because of its quality, Duvoisin said. African coffee has become increasingly popular with young consumers who are looking for different flavors and a unique story, and they’re willing to pay a premium for the continent’s brews that are known for their floral and fruity flavors. Still, African output remains about three-quarters of what it was four decades ago, after farmers found it hard to compete with top coffee growers Brazil and Vietnam. In Zimbabwe, smallholder farmers are investing more in their farms and expressing hope for the future as economic stability improves, Stewart said. Former President Robert Mugabe was replaced in November by Emmerson Mnangagwa, who was sworn in last month following presidential elections. The investment in Zimbabwe follows a similar push in South Sudan in 2015. While Nespresso had to pull out of that nation due to conflict, it says it’s hopeful purchases can resume soon, although this year’s harvest has been missed. The Zimbabwe capsules will remain a limited edition for now, but the company would consider offering it all-year round if production increased enough, Duvoisin said.